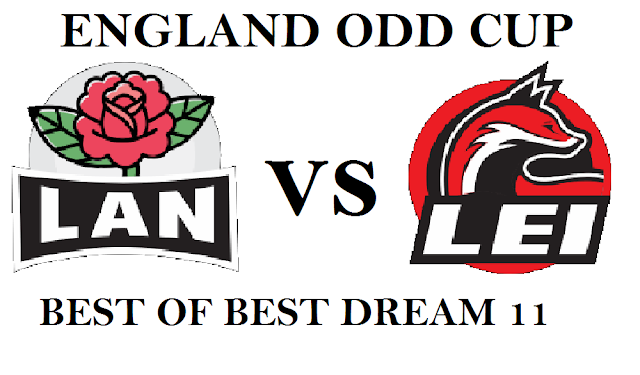 welcome to our preview of the match b/w "LANCASHIRE (LAN) VS LEICESTER SHIRE (LEI)" match. 1-Both team are at the bottom of point table with just one win in their 5 matches. 2-LAN are 8th position and LEI is 9th position in point table north group. 3-LEI has named two changes Ben Raine and G Griffiths make way for lewis hill and harry dearden. 4- jennings will gone national team for second test squad against PAKISTAN.